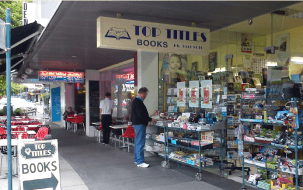 Top Titles is a passionately independent bookstore in the heart of Bayside Melbourne. While our store may look small from the street, we stock a comprehensive and carefully selected range across all genres and we pride ourselves on helping our customers find the right book at the right time, every time. We love talking books with anyone who will listen and we always welcome browsers. 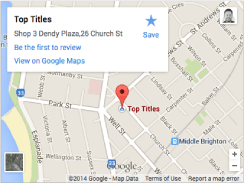 Please do come in and join our thriving Top Titles community! See inside our store here.